The Hoyle Company is ideally suited for servicing growth-oriented businesses in a variety of sectors including retail, retail-oriented health care, medical, fitness, consumer services, and regional consumer-packaged goods. Based in Raleigh, North Carolina, we offer national brand, agency, and in-house experience to your growing business. The driving belief of The Hoyle Company is, "To be of service to each other isn't the highest calling we have in life. It's the only calling we have in life. Be of service to someone every day and you will enjoy a complete and fulfilling life." The Hoyle Company is led by its managing member Brian Hoyle, a consumer marketing strategist with more than 20 years of accomplishments in driving revenue and brand value. Brian has worked with many great brands, large and small, over the years including: Wrangler Jeans, Duke University Men's Basketball, NHL Carolina Hurricanes, Special Olympics World Summer Games, Time Warner Cable, Marithé & François Girbaud Jeans, Duke Children's Hospital, AmerLink Log Homes, Home Team Sports Network, Rich SeaPak Foods, WTVD-TV (ABC Affiliate), Eye Care Associates, Grinnell Leadership & Organizational Development, and Holland Grills. Prior to creating The Hoyle Company, Mr. Hoyle served as director of marketing at North Carolina-based Eye Care Associates. 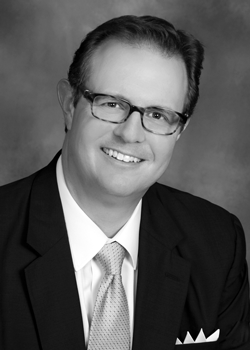 As part of the practice's executive management team for 12 years, he developed and directed the overall marketing/branding strategy transforming the practice from being a local leader to being among the twenty largest optical businesses in the United States. Prior to joining Eye Care Associates, he worked with Rockett, Burkhead & Winslow in account services and public relations capacities during the agency's growth period when it became largest independently-owned, integrated marketing agency in the Southeast. Brian began his career in the broadcasting industry. His vocal talents have been used nationally and internationally for live events, television, radio, training and corporate branding videos, as well as for corporate presentations, IVR systems, and "explainer videos." From 2005-2015, Brian had the thrill to serve as "the voice" of PNC Arena, home of the NHL Carolina Hurricanes. During that time, he called a Stanley Cup Championship, the 2011 NHL All-Star Game and the 2010 Compuware Premier Games in Helsinki. He is often asked to speak or emcee business, community and charity events throughout the region. If you would like to learn more about Brian's voice over skills, please visit his professional voice actor page at www.BrianHoyle.com. Brian has a passion for community service. He is the founding board member of Project Uplift USA, Inc., which organizes the annual Freedom Balloon Fest - an event dedicated to honoring those who have paid the ultimate sacrifice in service to their country and their military families. He acts as the lead organizer of that all-volunteer led festival. Brian served on the board of directors of the Triangle Chapter of The American Red Cross for nine years. He has helped lead extensive fundraising efforts for the Triangle Heart Ball, and he is a past board president of the Triangle Radio Reading Service. An experienced commercial hot air balloon pilot, Brian also provides specialty consumer activation services to public relations professionals, PR agencies and brands through his aerial - social media marketing firm Hot Air Marketing LLC. Is There A Hidden Drain on Your Marketing? Is there a "hidden force" that is creating an unnecessary drag on the efficiency of your marketing? Likely not. But it may look like that at times. Maybe your great ideas just aren't being adopted as fast as you would like. The behaviors that you know will make a difference for your customers, your employees, and your bottom line simply are not being embraced by your employees. Does this sound familiar? The reality for many good brands is that they plateau, their growth stalls, and they struggle to step up to the next level. They fail to deliver an authentic experience that lives up to the promise of their marketing. The problem manifests itself in a variety of ways, but in the end, the result is a loss of efficiency in converting an abundance of leads into sales -- and more importantly -- satisfied return customers. As an entrepreneur, business manager, or brand manager, there is only so far you can push on your own before you accept that you need to reach for outside help -- the kind of help that specializes in bringing your vision for your business, your employee culture, and your thinking into alignment with your brand messaging. The Hoyle Company invites you to take your brand and your business where you want it to go. Challenge yourself to become an Enlightened Marketer. Looking for Faster Rate of Change?